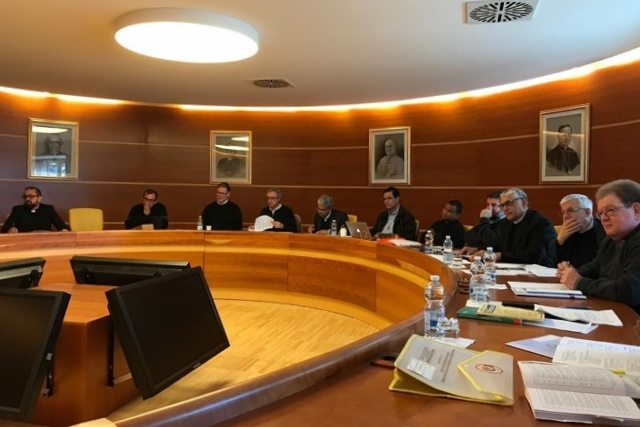 March 25-28 2019 - UPS - Rome From 25th to 28th March, 2019, the Roman seat of the Faculty of Theology of the Salesian Pontifical University (UPS) promoted the meeting of the Salesian Centres of Theology connected with the Faculty. 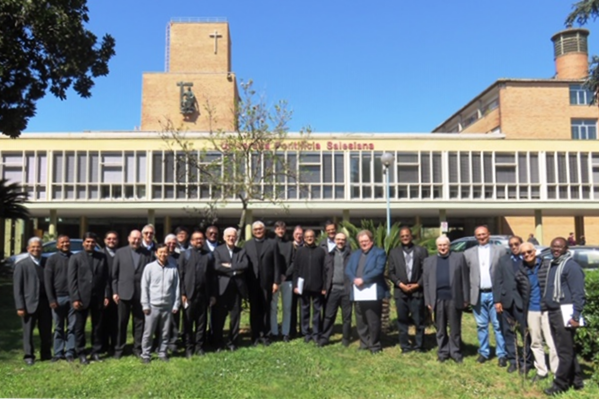 The event brought together the Heads of the two external Campuses and seventeen Affiliated, Aggregated and Sponsored Centres from Europe (3), Latin America (6), Africa (3) and Asia (5), who participated together with other invited guests. 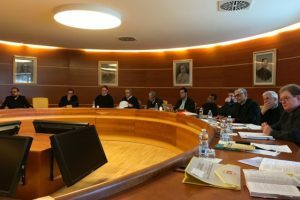 The purpose of the meeting was to study and deepen the Apostolic Constitution Veritatis gaudium on Ecclesiastical Universities and Faculties, issued by Pope Francis on January 29, 2018. Among the speakers: Prof. Andrea Bozzolo, SDB, with a presentation on «The Educational and Theological reading of the Prologue of the Veritatis gaudium»; Prof. Dariusz Kowalczyk, SJ, with the report on «The Postmodern “bad” and “good”: What air does today’s theologian breathe?»; Prof. Andrzej Wodka, C.SS.R., on «A crucial expectation of Pope Francis: theology at the heart of polarities of reality»; Prof. Salvatore Currò, CSI, with regard to «The anthropological implications of the Veritatis Gaudium», and Prof. Gustavo Cavagnari, SDB, on the theme «The Pastoral Formation of the candidates for the priesthood in the light of Veritatis gaudium». 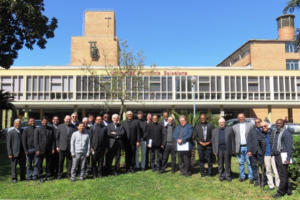 The meeting was moderated by Prof. Damasio Medeiros, SDB, Dean of the Faculty of Theology, together with the Salesians Proff. Paolo Carlotti, Sahayadass Fernando and Shaji Puykunnel; and saw the welcome participation of Prof. Mauro Mantovani, Rector of the UPS, of Fr. 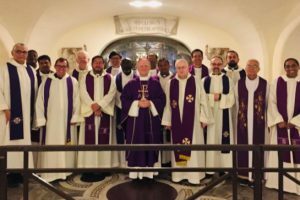 Francesco Cereda, Vicar of the Salesian Rector Major, of Fr. Eugenio Riva, Religious Superior of the UPS Vice-Province, and of Fr. Francisco Santos, from the Formation Dicastery. On 27th March, the Most Rev. 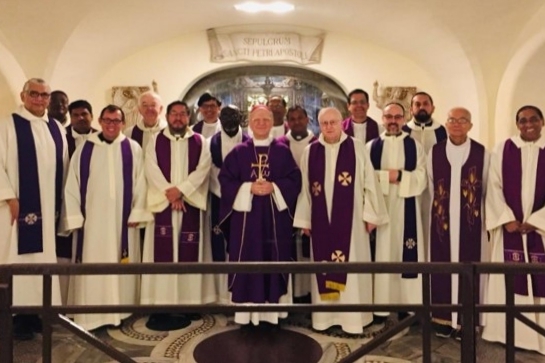 Vicenzo Zani, Secretary of the Congregation for Catholic Education, presided over the Eucharist for the participants in the meeting at St. Peter’s Tomb. Furthermore, during the last two days of the Meeting, the participants attended the Conference, «The Way of Beauty. The aesthetic experience in Theology», promoted by the Institute of Dogmatic Theology of the Faculty of Theology.